Custom one owner home near the golf course in Kingsley. 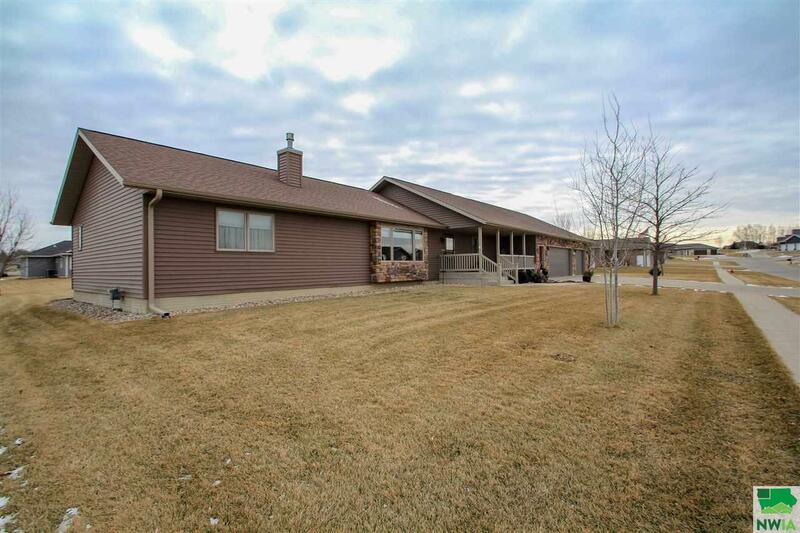 This ranch home features oversized lot, vinyl siding and oversized garage. FOR THE CAR ENTHUSIAST: this garage is 1440 sq.ft. with 220 wiring and golf cart door. Room for 4 cars. Stairway to the basement from the garage also. Spoil yourself. If the garage is not enough storage for your toys there is an additional shed 14 x 20 with concrete floor. FOR THE CHEF: Kitchen features vaulted ceiling, lots of cabinets, SS appliances, (frig, DW, microwave) large pantry, island with lots of cabinets and snack bar height, backsplash and eating area right off kitchen. Dining area also vaulted and sliders to trex deck 14 x 16. Upon entering the front door from the covered front porch, is vaulted living room with brand new carpet 2019, gas fireplace and painted 2018. Master bedroom has walk-in closet and full bath with whirlpool, separate shower, double vanity and separate linen. Second bedroom has walk-in closet. Main bath has new counter top and new backsplash. Oversized laundry room with 2 walls of cabinets for storage, laundry sink and pocket door. Lower level is finished with rec room area and separate bar area with sink and bar counter. Third full bath with linen. 3rd bedroom with egress and new carpet, double closet. Den with 2 double closets. There is a safe room 7 x 22. Extra features: Basement floor has in-floor heat, upgraded furnace with Acure clean filter, radon mitigation 2018, 85 gallon marathon water heater, water softener, reverse osmosis drinking water and air exchanger. Outlet installed for installation of generator. Additional shed with concrete floor. Meticulously cared for. Minutes from Sioux City, across the street from golf course, close to the schools. Room 02 Description: Vaulted, Large Pantry, Island, Oak Cabinets. Room 14 Description: 2 Double Closets.